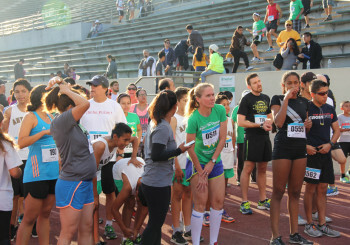 Benefiting East Los Angeles College Running programs & Charles R. Drew University of Medicine & Science. Join community leaders including Upper San Gabriel Municipal Water District Director, Charles Trevino, grassroots cultural performers, local runners, walkers and wheelers for the the 25th Annual Aztlan 5K Classic Run/Walk at the historic East Los Angeles College. This is a 5k for everyone, so bring your family and friends; it’s a day to enjoy the outdoors, challenge yourselves, be entertained and support various great causes. If you are a competitive runner, we are offering cash prize to the overall winners of the Men and Women events, and awards to the top 3 finishers in each division. This event is also part of the Aztlan Athletics Green Circuit Challenge. For more information on eligibility please visit the main portal www.aztlanathletics.org under “Take The Challenge”. Team competition for clubs with at least 7 participants.